The Northern Kentucky Bigfoot Research Group says the streams, lakes, and dense forests of Kentucky are an ideal home for Bigfoot. Rodney Adams, a member of that group claims to have had more than one encounter and says: "I want to show the world what I have seen." In this video, Wave 3 News delves into the mystery of Bigfoot by talking with a couple of local Bigfoot researchers. 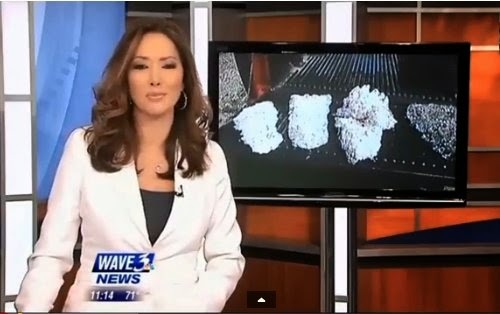 The footprints shown in this news report were featured on the Finding Bigfoot Kentucky episode.